Information about the authors who took part in the 2014 festival is listed below alphabetically. Kate Adie became the BBC`s chief news correspondent in 1989, and has reported from war zones around the world. She has won numerous awards including three Royal Television Society awards, the Bafta Richard Dimbleby Award, and the Broadcasting Press Guild`s Award for Outstanding Contribution to Broadcasting. She was awarded an OBE in 1993. Kate Adie presents From Our Own Correspondent on BBC Radio 4 and is the author of four bestselling books. Award-winning poet Patience Agbabi retells Chaucer's The Canterbury Tales for the 21st century in her new book Telling Tales. Mining Chaucer's Middle-English masterwork for its performance as well as its poetry and pilgrims, this boisterous and lyrical collection gives one of Britain's most significant works of poetry thrilling new life. Agbabi is the author of three collections, Bloodshot Monochrome, Transformatrix and R.A.W., and she is a former Poet Laureate of Canterbury. Her poems have appeared on radio and TV around the world and she has toured widely with the British Council. Abimbola is an author, lecturer and professional storyteller in Plymouth. She is also a translator and has translated several children books, including the classics ‘Hansel and Gretel’ and ‘Little Red Hen and the Grains of Wheat’, into Yoruba. Abimbola currently teaches creative writing and storytelling at the University of St. Mark & St. John in Plymouth. She has also worked as an associate lecturer at the University of Plymouth. Jean ‘Binta’ Breeze is an internationally renowned Jamaican poet and playwright, well known for her mastery of the 'dub' artform. Her words carry powerful political and personal messages, and audiences relate to and are inspired by her work. She is the author of seven collections including Third World Girl which combines poems from previous collections and new work, and in 2013 she was the recipient of an MBE for Services to literature. Now based in Jamaica, Ms Breeze tours England in March to May and then October to end November 2014 with renaissance one, including dates in Leicester, London and events marking International Women. 2012. Funded by several charities to implement this work, she runs creative writing sessions and workshops in magazine production. The prison magazine,’ Tor Views,’ is published four times a year. It is written and designed by prisoners. A journalist and author for 25 years, Jessica Berens has published two novels ( Queen of the Witches and The Highwayman) and a book of essays (Inappropriate Behaviour). Her most recent publication was entitled Tales from Inside the Walls which included a collection of 25 stories written for children by prisoners in collaboration with the charity ‘Storybook Dads’. Jessica has worked as a reporter, columnist, and foreign correspondent for most British national newspapers and magazines. Dedicated to teaching both theory and practice since 1999, Mel began teaching at Plymouth College of Art in 2004. Mel’s skills and experience are consolidated in her role as Programme Leader on the BA (Hons) & FD Illustration programmes at Plymouth College of Art, having long since decided that working alongside the next generation of Illustrators & Image-makers was exactly where she wanted to be. Susmita Bhattacharya was born in Mumbai, India. She sailed around the world in an oil tanker for three years with her husband,recording her voyages through painting and writing journals. She received an MA in Creative Writing from Cardiff University in 2006 and has published several short stories and poems. She lives in Plymouth with her husband, two daughters and the neighbour’s cat. Dr Annika Bautz is Lecturer in Nineteenth-Century Literature at Plymouth University. Her research interests are in Romantic and Victorian fiction, the history of the book and reception studies. Her publications include The Reception of Jane Austen and Walter Scott: A Comparative Longitudinal Study (Continuum, 2007), a Reader’s Guide to Essential Criticism of Jane Austen’s Pride and Prejudice, Emma and Sense and Sensibility (Palgrave Macmillan 2010), as well as several articles. Among them are ‘Imperial Decadence: the making of the myths. Edward Bulwer-Lytton’s The Last Days of Pompeii (1834)’, in Victorian Literature and Culture 40 (Autumn 2012) and '‘In perfect volume form, Price Sixpence’: Illustrating Pride and Prejudice for a late-Victorian mass-market' in Romantic Adaptations (Ashgate, 2013). Anthony Caleshu is the author of two books of poetry and a novella. His poems and stories have appeared widely in journals and newspapers on both sides of the Atlantic, including Times Literary Supplement, Poetry Review, Poetry Ireland Review, The Dublin Review,American Literary Review, and Agni Online. He is the editor of the literary journal Short FICTION and teaches at the University of Plymouth. Darlington’s ‘Otter Country’ is about a tenacious quest to seek out Britain’s most elusive predator, the wild otter. Miriam Darlington was born in Lewes, Sussex. A prize- winning poet, she taught French and English for twelve years, before becoming a full-time writer in 2007. Her poetry collection Windfall was published in 2008. She lives in Devon with two children, one dog, two cats, four chickens and one husband. Nathan Filer is author of The Shock of the Fall, winner of the 2013 Costa Book of the Year and 2014 Betty Trask Prize. It has been translated into twenty-seven languages. He has written articles and reviews for The Guardian, The Independent, Daily Mail and Metro, and has talked bookish stuff on the BBC radio 2 Book Club; BBC radio 3′s Free Thinking; and BBC radio 4′s Open Book, Front Row and the Today Programme. As a stand-up poet (c. 1999 – 2009) he performed across the UK, including at Latititude, Glastonbury, Port Eliot and the Cheltenham Lit Fest. Sarah Churchwell is the Professor of American Literature and Public Understanding of the Humanities at the University of East Anglia,UK. She is a writer of biographies who regularly appears on British television and radio. She is also a member of the judging panel for the 2014 Man Booker Prize. Tim Dee is a writer and BBC radio producer. His memoir of a life as an amateur birdwatcher The Running Sky was published in 2009. His second book Four Fields was published in 2013. It is an account, as its title suggests, of four fields around the the world and what their mixed natural and human histories and their presentday lives tell us about the wider human occupation of the Earth. He has also edited (with Simon Armitage), The Poetry of Birds. He has been a radio producer at the BBC based in Bristol for twenty-five years where he makes mostly poetry programmes and radio drama. Caspar Henderson is a writer and journalist. His work has appeared in the Financial Times, the Guardian, theIndependent, New Scientist, the New York Review of Books, and other publications. From 2002 to 2005 he was a senior editor at OpenDemocracy. He received the Roger Deakin Award from the Society of Authors in 2009 and the Royal Society of Literature Jerwood Award in 2010. He is the author of The Book of Barely Imagined Beings, a bestiary for the 21st Century, which was shortlisted for the 2013 Royal Society Winton Prize for Science and the 2013 Society of Authors Biology Book Award. He lives in Oxford and is currently working on A New Map of Wonder, a book about wonder and the natural world. Foster’s South Coast Comedian of the Year Finalist 2014, presents his first show, at this year’s international Book Festival, in which he will merge the highbrow world of poetry with the lowbrow world of comedy in what can hopefully be described as 'medium-brow', but won’t hurt your forehead. Sarah Hilary lives in Bath with her husband and daughter, where she writes quirky copy for a well-loved travel publisher. She’s also worked as a bookseller, and with the Royal Navy. An award-winning short story writer, Sarah won the Cheshire Prize for Literature in 2012. Cornish lyricist MCMC delivers a colourful, political, and emotional package of observations and interpretations to make you laugh, question and awaken to the beat of life. One to witness. Sir Andrew Motion is President of the Campaign to Protect Rural England and co-founder of The Poetry Archive. His latest project is Poetry By Heart. Sir Andrew Motion’s poetry has received the Arvon/Observer Prize, the John Llewelyn Rhys Prize and the Dylan Thomas Prize. He is now Professor of Creative Writing at Royal Holloway. He was knighted for his services to literature in 2009. Sir Andrew Motion was Poet Laureate from 1999 until 2009. Joanna Nadin has written more than forty books for children and teenagers, including the best-selling “Rachel Riley” diaries for teens, and three acclaimed young adult novels set in Cornwall; Wonderland, Undertow and Eden. A past winner of the Fantastic Book Award, the Highland Book Award and the Surrey Book Award, she has also been shortlisted for Queen of Teen. Having grown up in Europe and America, Mariko Nagai studied English with concentration in poetry at the New York University where she was the Erich Maria Remarque Fellow. She has received the Pushcart Prizes both in poetry and fiction (nominated five times in total) and has received fellowships from the Rockefeller Foundation Bellagio Center, UNESCO-Aschberg Bursaries for the Arts, Akademie Schloss Solitude, Yaddo, and Hawthornden International Writers Retreat, to name a few. She is the author of Histories of Bodies: Poems (Red Hen Press, 2007), Georgic: Stories in 2009 (BkMk Press/University of Missouri Kansas City, 2010), Instructions for the Living (WordPalace Press, 2012) and Dust of Eden: A Novel (Albert Whitman & Co, 2014) forthcoming in 2014 and 2015. She has translated works by Fumiko Hayashi, Akiko Yosano, and Shizuko Suzuki, and her own work has been translated into Vietnamese, French, Bulgarian, and German. She is currently an Associate Professor of Creative Writing and Japanese Literature at Temple University Japan Campus. In 2011 Tom graduated from University College Falmouth with a Master’s degree in Illustration. His graduation exhibition featured illustrative bookbinding, and explored the concept of bookbinding as a form of art as well as craft. Over the past few years, Tom’s bindings have been exhibited in the Royal Academy Summer Show 2012, and the V&A collection, and he has been commissioned to restore and reproduce books for the National Trust. His work is collected and commissioned by bibliophiles from all over the world. William Ryan is an Irish writer who has lived and worked in London for a number of years. He was called to the English bar, after university in Dublin, before he worked as a lawyer in the City. The Twelfth Department is William Ryan’s new novel set in 1930’s Stalinist Russia. His previous novels in the series, The Holy Thief and The Bloody Meadow have between them been shortlisted for the Theakstones Crime Novel of the Year Award, the CWA New Blood Dagger, the Irish Fiction Award and the Ireland AM Irish Crime Novel of the Year Award. M R Hall is a Bafta nominated screenwriter, producer and former criminal barrister. He has been nominated for two CWA Gold Dagger Awards for his novels The Flight and The Coroner. The Chosen Dead is Hall's fifth novel featuring the brave but fragile Coroner Jenny Cooper and the trademark combination of intricate detail, perfect plotting, televisual narrative and flawed but believable characters. Angela K. Smith specialises in war writing, with a particular interest in the First World War and gender issues. She is the author of The Second Battlefield: Women, Modernism and the First World War (MUP, 2000) and editor of Women’s Writing of the First World War: an Anthology(MUP, 2000).Her more recent book publications include British Literature of World War I(General co-ed. and Volume ed. ), (Pickering and Chatto, 2011), Suffrage Discourse in Britain During the First World War, (Ashgate, 2005), and Gender and Warfare in the Twentieth Century: Textual Representations (ed), (MUP, 2004). Her latest collection, War and Displacement in the Twentieth Century: Global Conflicts was published by Routledge in April 2014 and her latest monograph, Women of the Eastern Front: British Women in Serbia and Russia 1914-9 will be published by Manchester University Press in 2015. Poet, City Laureate, amateur fly fisherman and enthusiastic guitar torturer... For whom poetry has been, and still is, an abiding and overwhelming passion. A passion demonstrated in his no quarter, no prisoners poetry! Attracting followers and readers from every continent to his illustrated collections in both hard and paperback. After university, Joanna Trollope spent some time at the Foreign Office before becoming a teacher. She began writing 'to fill the long spaces after the children had gone to bed' and for many years combined her writing career with working as a teacher. The common theme through all of her novels is the nature of relationships, particularly within families. Joanna's family is hugely important to her. She is the eldest of three, the mother of two daughters, stepmother of two stepsons, and is immensely enjoying being a grandmother. 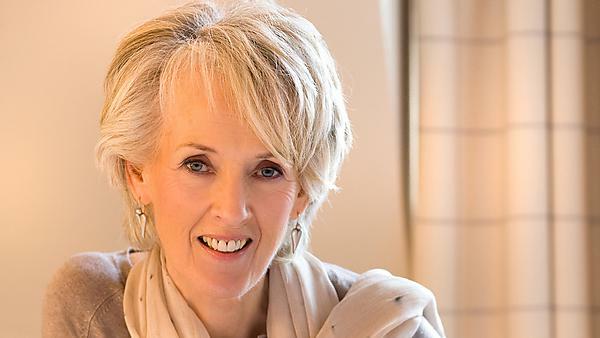 Joanna Trollope has written eighteen bestselling novels, and has been appointed OBE for services to literature. She now lives in London, and still has the same core group of close friends she's had for the past thirty years. Tom Vowler is a novelist and short story writer living in south west England. His debut collection, The Method, won the Scott Prize in 2010 and the Edge Hill Readers’ Prize in 2011, while his novel What Lies Within received critical acclaim. He is co-editor of the literary journal Short Fiction and an associate lecturer in creative writing at Plymouth University, where he’s completing a PhD looking at the role of the editor in fiction. His second novel, That Dark Remembered Day,has just been published. Tom’s stories have been published widely and he teaches an online course titled ‘The Art of the Short Story’. Clare joined the Darley Anderson Agency in January 2011. Clare is scouting for new talent and is looking for commercial and accessible literary general fiction and all types of women’s fiction. She is also building the children’s list and, as the Head of Rights, she negotiates deals for translation rights all around the world for all the Agency’s authors. Caspar Walsh is a writer and founder of the award winning charity, Write to Freedom. He is the author of Tribe Warrior from W2F Press and Criminal. Min Wild has had more than one working life – first, as a storytelling library assistant, and later, as a lecturer in English at University of Plymouth, once she had gained her doctorate at the University of Exeter. She has published academic books and articles on eighteenth-century literature, where the novel began, and where young men who were poets pretended to be old ladies as they edited rude, cheerily obnoxious periodicals: the poet Christopher Smart was 'Mrs Midnight', who wrote and edited The Midwife in the 1750s, and this is the subject of Min's book Christopher Smart and Satire (2008). She has also worked in the field of early twentieth-century high Modernism, where some poets and novelists looked back yearningly to eighteenth-century classical ways of writing and understanding the world. Min is most interested in the places where literature and philosophy rub shoulders, where the self is presented through language. She has reviewed widely, both for the academic world and for the Independent on Sunday and the Times Literary Supplement, and she runs reading groups and presents papers at conferences. She likes the excitement of literary seminars, where meaning gets made by a gathering of minds, and she also likes Roses Lime Marmalade, and playing the saxophone. As a child Royston was a reluctant reader. He didn't see it as reluctance, he just didn't see the point: there were comics and a picture is worth a thousand words right? Now an avid reader and regretting missing out on so many good stories as a child he reads stories to his children every night before bed. In fact, he enjoys reading stories so much, he now writes his own. The Ruff and Tumble series is written for children aged 6+ and Tyger Pants is aimed at 8-12 year olds. Bearing in mind his own lack of enthusiasm for reading as a child, Royston’s stories are written to be as engaging as possible, to draw the reluctant reader into a land of imagination and discovery. James Woudhuysen is Professor of Forecasting and Innovation at De Montfort University. And with a knack for registering trends well before others, he often offers counter-intuitive proposals on what actions to take.